Something bright and colorful caught my eye earlier – it was the trailer for Monster Hunter Stories, a new spin-off RPG set in the Monster Hunter world. The game was reportedly five years in the making, and is set to come out in 2016. 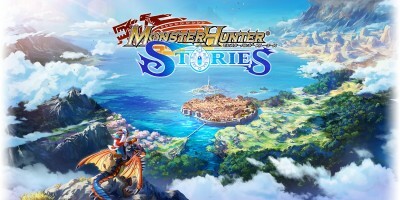 While details are scarce (and this is a CGI trailer), it appears the game will eschew typical Monster Hunter gameplay and instead play “within the boundaries of an RPG, while still preserving the core sensibilities that people have come to associate with Monster Hunter.” That quote comes from series producer Ryozo Tsujimoto. Perhaps this’ll finally be a Monster hunter game I can get into? !